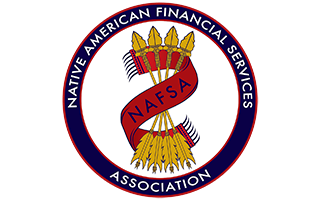 Using the Native American Financial Services Association (NAFSA)’s free Financial Literacy Program, you can explore the many online modules and calculators to help develop a plan to bolster your savings. Whether you’re saving for college or working to maintain an emergency fund, NAFSA’s Financial Literacy modules can help you asses your expenses and savings to create a plan. The Emergency Savings calculator, located in the Finances 101 playlist, is a simple way to create a visual graph of your current savings versus your recommended savings based on your monthly take-home income and expenses. To use the calculator, you simply add in your take-home income and monthly expenses. The calculator will automatically calculate your monthly savings. From there, you decide how much money you feel comfortable putting towards your emergency savings fund and your current savings. You can also add your desired time, in years, to reach your savings goal.